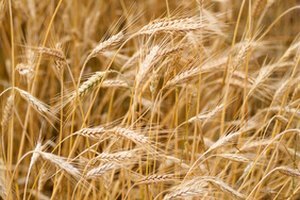 Wheat has gotten plenty of bad press because of rising awareness about gluten intolerance and allergies, but the unprocessed grain is actually a healthy staple food, one that has sustained many generations of eaters and bakers. White flour is made from refined wheat, stripped of its bran and endosperm, leaving a grain that is light and forgiving in recipes but relatively empty nutritionally. Whole grain wheat still contains the nutrients that make it an excellent source of protein and fiber. 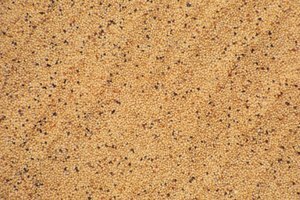 It comes in various forms, from cracked wheat (which is simply broken whole wheat kernels) to whole wheat flour (which still contains some or all of its bran). To cook cracked wheat kernels, use two parts water for each cup cracked wheat. Bring the water to a boil, add the grain and then cook, covered, on medium-low heat for about 25 minutes, until all the liquid has been absorbed. 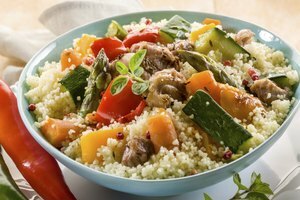 Use cracked wheat in pilafs or as a side dish with stews, meats or vegetables. Cracked wheat also adds texture to breads and pastries, although you should use it sparingly in baked goods, supplementing whole or white wheat flour rather than using it as the primary grain. Cracked wheat is similar to bulgur in that both are made from broken wheat berries. However, bulgur is precooked before it is dried, so it cooks in half the time as cracked wheat. The term "whole wheat"is often used without much precision, and even regulatory agencies such as the FDA define the term in ways that can be misleading and confusing. "Whole wheat" is usually used to describe a type of flour, one that includes some bran and germ. However, millers may remove these parts of the wheat and then add them back, sometimes in different ratios than you'd find in the original grain. Other producers don't sift out these nutritious elements at all, although they may have proprietary processes for handling their flour so it is tasty and user-friendly. Artisan millers tend to treat their flour with respect, to bring out optimum flavor without compromising nutritional value. Grain companies that work on an industrial scale are more likely to take short cuts on quality to create a product that is accessible, shelf-stable and easy to produce. Cracked wheat contains all of the nutritional value contained in the original whole grain, including folate, calcium, vitamin E and various B vitamins. Whole wheat may contain these nutrients as well, although their levels depend on how the particular whole wheat flour has been processed. Whole wheat that has simply been milled but not sifted will contain all of the same nutrients as cracked wheat, in the same ratio. 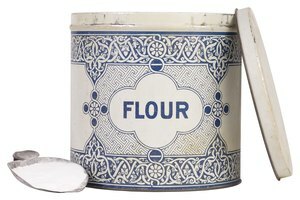 But if the flour has been sifted and then remixed, its nutritional content will likely be different. Read labels carefully and, if possible, get to know your miller.